I love the way the sunlight hits a stained glass window. I find the warm glow to be uplifting. Years and years ago, my parents took me to a class where we learned how to make stained glass windows. Cutting the glass into small pieces and then trying to reassemble it into a picture was not easy. It gave me an appreciation for the level of skill it takes to make an intricate design in glass. If you’ve ever contemplated making your own stained glass, then I have a quick and easy solution for you to give it a try. The brand new Graceful Glass Suite will help you achieve that amazing look with vellum and markers. Our brand new Graceful Glass vellum paper has all sorts of designs that look just like stained glass. Some of the sheets have repeating patterns, which are meant to be cut apart and used separately. 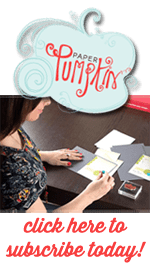 For my project today, I cut a strip of the velum paper to fit the front of my card and then I colored it using our Stampin Blends markers. Our alcohol markers do a wonderful job of coloring the velum, and they don’t smear. For this card, I backed the vellum paper with white card stock. It really makes the design pop. It’s so much brighter than my earlier card “Birds on a Wire” where I glued the vellum paper straight to the card stock. You can see it here if you want to check out the difference. Since this design covered most of the front of the card, I did not put a sentiment on the front. I’ll add that on the inside when I great ready to mail out this card. I used the companion stamp set Painted Glass to add detail to the card base. This fills in that blank space on that bottom layer. It’s been a busy couple weeks around here as we approach the end of the school year. And now it’s here. Tomorrow is the last day of school. Thank goodness! I don’t think I had another week’s worth of homework in me. And I’m not the one doing the homework. It’s the checking to make sure it’s done that’s exhausting.